Dickson: technical textile manufacturer for 200 years. The history of Dickson-Constant: the expert in the art of weaving. Part of the fabric of the French weaving industry and its developments, Dickson-Constant draws on 180 years of expertise. 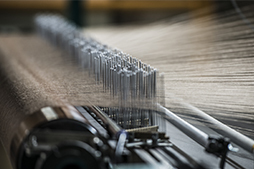 Drawing on 180 years of expertise, Dickson-Constant has always been at the forefront of developments in the weaving industry. Dickson fabrics are manufactured by our weavers in Wasquehal, northern France. Benefiting from centuries of know-how, they continuously reinvent one of the oldest occupations in the world. Although its secrets have been passed down from generation to generation, this traditional craft would not be what it is today without these dedicated individuals. 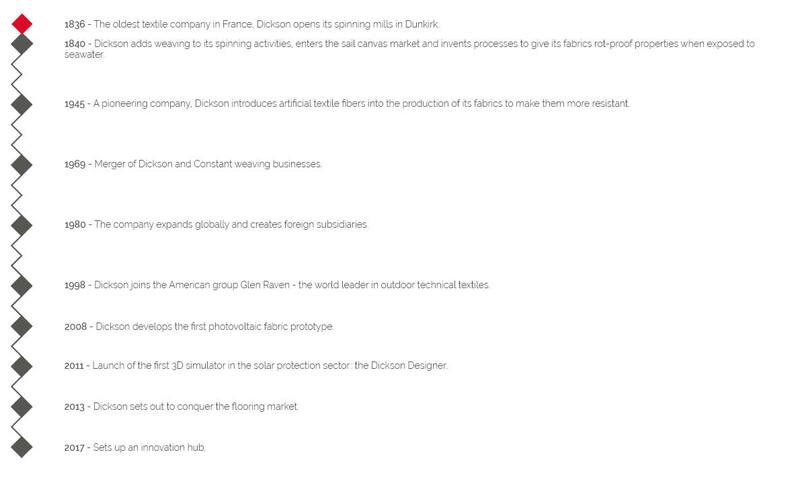 More than a manufacturer of fabrics and technically advanced textiles, Dickson-Constant has an integrated design studio. The Dickson® design studio develops the largest and most creative collections in the textile technology sector. 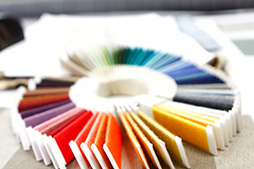 Our team identifies and analyses the latest trends, creates new stripes, patterns and colors, and then tests the design’s technical feasibility. Each new collection takes more than a year to design. As a growth driver, innovation is central to Dickson®'s diversification and international development strategy. The group aims to offer quality, technically advanced fabrics. 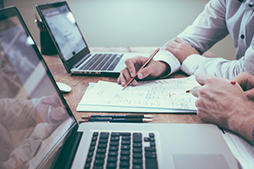 Our R&D and design teams work all year round with international laboratories and trend agencies to create innovative solutions for the homes of tomorrow.